Looks like Ashley Wood got roped in to create more concept art for Metal Gear Solid, in his own style. The book I have is a white paperback cover instead of the brown one shown on Amazon (left image), not that it makes any difference. It collects art from Ashley Wood's graphic novel adaptations of Metal Gear Solid and Metal Gear Solid: Sons of Liberty. Additionally, it also has art created for the Metal Gear Solid: Mobile Portable Ops video game. Here are some keywords to be associated with the book: big guns, long legs, crazy brushstrokes, stylish portraits, no captions. 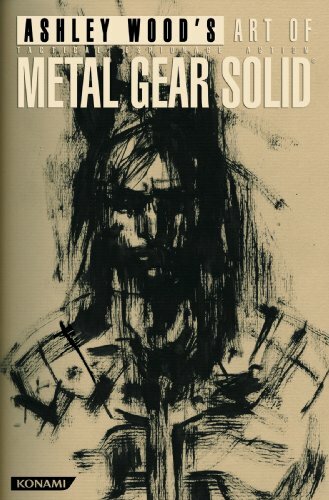 Fans of Ashley Wood's style and Metal Gear Solid might want to take a look at this book.